Chelsea’s number ten Eden Hazard has apparently reached a ‘verbal agreement’ to become a Real Madrid player in this summer’s transfer window – according to French news source RMC Sport via talkSPORT. The departure of Cristiano Ronaldo from Madrid to Juventus has put fuel to the flames on who will replace the prolific Portuguese international at the Bernabeu and if these latest reports are to be believed then it’s Eden Hazard who is set to become the successor. French news RMC Sport via talkSPORT state that an ‘agreement has been reached’ between Eden Hazard’s people and Real Madrid for a transfer to go through, but at this point the two clubs have yet to agree a fee that matches the Belgian’s worth. Chelsea’s chances of keeping Hazard, despite the appointment of Maurizio Sarri as manager, haven’t been helped by the fact that their star man had a dazzling World Cup campaign – helping his country to a best ever third-place finish. On top of that the Blues only qualified for the Europa League, missing out on playing Europe’s elite next season has unquestionably hurt the west London side. 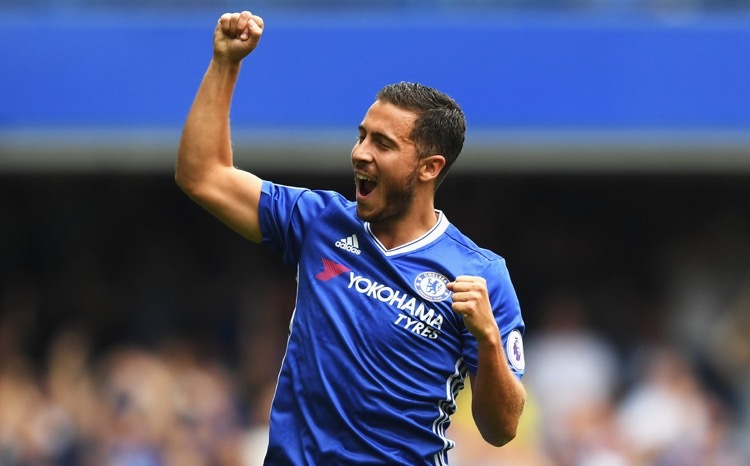 The Blues will not let Eden Hazard go for any kind of cut-price deal and will capitalise on both a memorable World Cup campaign, as well as the fact that Madrid need a world-class player to replace Ronaldo. It’s expected that if the transfer does happen, that the fee will be around the £200 million mark.